Previous research had shown that the Magombera Forest in Tanzania could disappear by 2018 if action wasn't taken to protect it. Project leader, Dr. Andy Marshall, from the University of York's Department of Environment and Geography, said: "Protection for these lands follows more than 40 years of research and consultation. "When I first began work in the forest 15 years ago it was clearly a biologically important place, but it rang with the sound of axes and machetes. "Over the past few years we have worked with local villages to find alternative sources for wood and have even managed to reduce the frequency of wildfires, invasive vines and tree-cutting in Magombera, leading to thousands of small trees now growing back into the once almost empty forest." 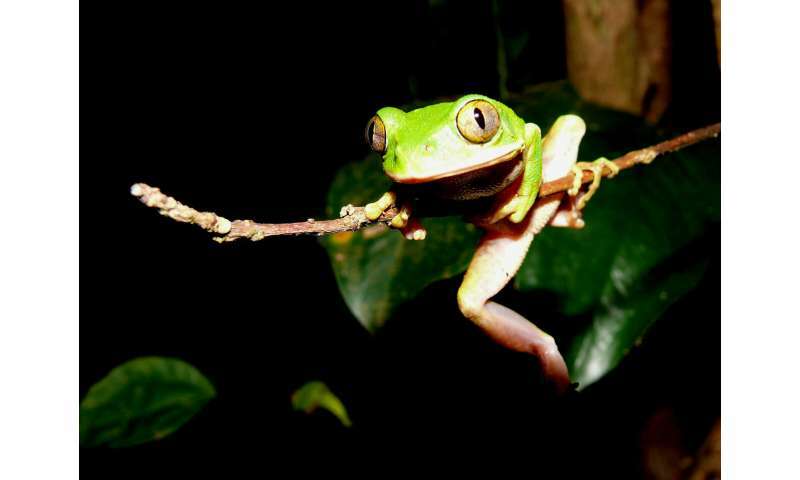 The conservation value of the forest first became known in the 1970s, but received international attention through the discovery of a new chameleon species that was spotted escaping the jaws of a snake by University of York researcher, Dr. Andy Marshall, in 2009. 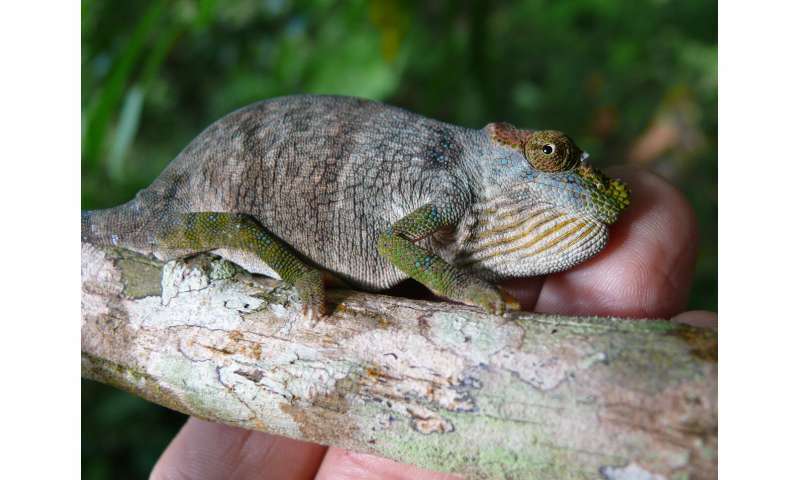 The discovery of the Magombera chameleon, Kinyongia magomberae, was a major incentive for increased donor support and interest in protection of the forest, along with the identification of the endangered populations of Udzungwa red colobus monkeys; Verdcourt's Polyalthia tree; large-leaved Memecylon tree; and Luke's Cynometra tree. 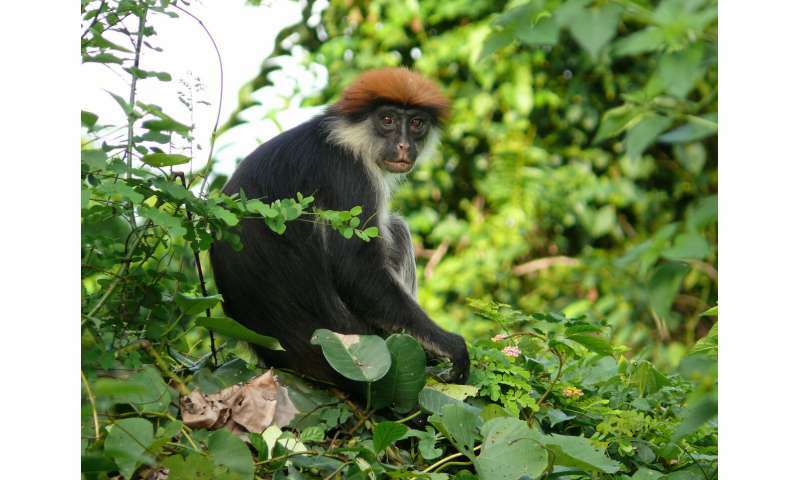 Dr. Paul Salaman, Chief Executive Officer of Rainforest Trust, said: "As well as the Magombera chameleon and the red colobus monkey, the region is also home to numerous other internationally threatened species of plants and animals, including the Udzungwa dwarf galago, African elephants, and hippopotamus. "It is also an important place for local communities who depend on the adjacent land for rice and sugar farming." Charles Meshack, Executive Director at TFCG, said: "The Magombera Nature Reserve will break boundaries in forest conservation in Tanzania, by ensuring that tourist entrance fees will go both to local communities and to the government managing authority. "This is a major achievement for forest conservation that will help both wildlife and people, in a way that differs from any other reserve that I know." Gordon Gibb, Flamingo Land's owner, said: "Research findings have played a significant part in securing the future of the forest, but forming a collaboration between charitable organisations, government and universities, we have a much better chance of conserving this important landscape and the animal and plant life that exist there."